Product prices and availability are accurate as of 2019-04-23 00:31:11 UTC and are subject to change. Any price and availability information displayed on http://www.amazon.com/ at the time of purchase will apply to the purchase of this product. 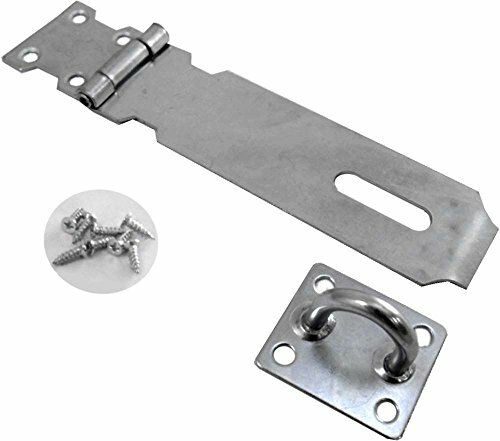 This 6" pad bolt is great for securing your gate, garden shed, or shop cabinets. Easy to install with all screws included, and it has a galvanized surface coating to prevent rusting. All you need to add is a padlock. (Not included, but available separately).